East Village Spa recently expanded at 601 East Locust, including new treatment spaces, lobby and waiting area. We recently caught up with Cassie Sampson, LMT and owner of Des Moines’ East Village Spa, to chat about her recent spa expansion, her philosophy on health, and what she loves about Des Moines. The East Village Spa has earned both community recognition and many awards, what makes the East Village Spa unique? 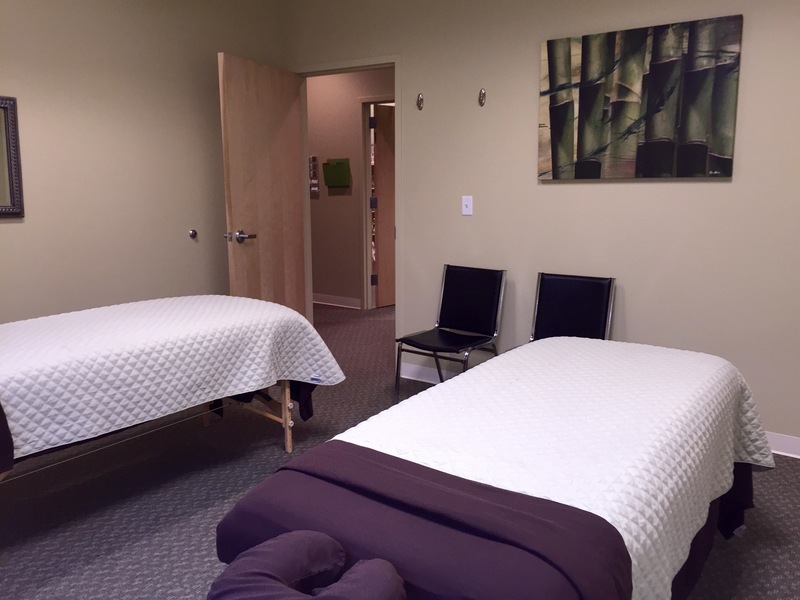 When I was early in my massage therapy career, I couldn’t find the perfect place to work, so I decided to create my dream job and staff it with the people I wanted to provide my own services and spend my days collaborating with. I know that for my employees to provide excellent customer service, they have to be happy and fulfilled in their career with us. We look out for their physical needs to ensure that they can work safely in a traditionally physically demanding industry by not over-booking employees even if it means less income for the spa, team members are compensated fairly for their education and experience and provided benefits needed to maintain their health, and have the opportunity to contribute ideas and get involved in their workplace and community. When employees are happy, guests have the best experience and can really sense that for our team members, this isn’t a “job,” but a career or calling, and our employees value the opportunity to do something they love and care for their clients. So, you’ve recently renovated – how do you like your new space? It is awesome! In a way, we wish we’d have just taken the entire space when we moved to the building in 2013, but thankfully we didn’t so it opened a path for Gigi’s Pilates to open in our building and that has been a great business to collaborate with. Both Gigi and I were thrilled to get to expand and stay in our building this year. 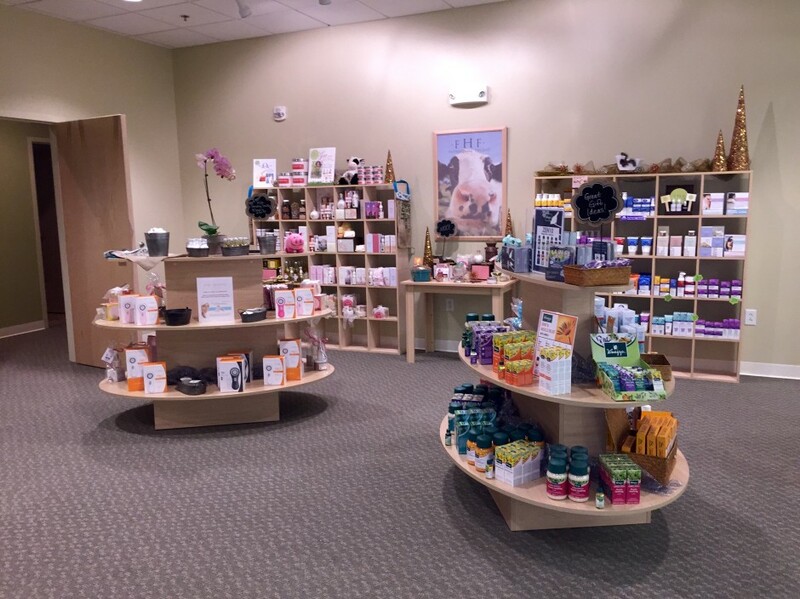 The expansion has given our reception are a much more comfortable feel for guests and has provided us with the space to showcase the products we love and have been eager to introduce to clients. The past year has been frustrating on busy days because we’ve had many instances when a guest wants a service and we had an available employee but all of our rooms were occupied. Now we aren’t climbing on each other for space and it feels more comfortable for our clients and our employees are able to relax more now that there are enough rooms. We made sure we left some extra space (our old reception area and my office) to transition to rooms in the future when we are lucky enough to start to run out of rooms again! As a licensed massage therapist and avid supporter of chiropractic care and acupuncture, I’m obviously a fan of complementary medicine, however I know that the less-invasive treatments I can offer (and personally prefer to try first) aren’t always the ticket and that modern medicine is the answer. I like healthy food, but I’m never one to deprive myself of a treat (or two). I like a lazy evening watching terrible TV, but I like triathlon training too. To me, wellness is about balance. Of all of the treatments that you offer, do you have any favorites? I love getting a facial for the way it helps my skin stay clear and to me, it is one of our most relaxing services and when I almost always fall asleep. When I’m training more for triathlons and runs in the summer and spring, I get massage at least every 2 weeks to help with whatever new aches and pains pop up. Tell us a bit about your staff – what kinds of practitioners do you have on your team? We have 7 massage therapists who regularly provide treatments, plus our desk manager and I are also massage therapists. Our therapists have gone above and beyond in their education and several of us have many years of experience. For over 6 years, I’ve been an educator at Body Wisdom Massage Therapy school and that has helped me identify and stay in touch with outstanding talented massage therapists I’ve met through teaching so when we have an opening, that is where I turn first. We have 3 full time employees who are licensed to provide nail and skin care, and 3 part-time employees with licenses to provide nail and/or skin care. They are all so passionate about providing these services in a safe way and helping to educate their clients. We all feel very lucky to be able to make a living doing something we actually WANT to do and providing services we enjoy, collaborating with each other, trading services, and teaching each other. What do you love about being in Des Moines, and specifically, the East Village? I just can’t say emphatically enough how much I love Des Moines. I moved here right out of college when I was 21 and it is big enough to offer all of the amenities you’d want in a city, but small enough to feel safe and to feel like I can make a difference. The East Village is fun because it has served as a good business incubator for lots of us who opened our businesses young. I was 26 when I opened my private practice and 28 when I opened the spa in 2008, it has been awesome to be able to grow and be involved. The people who support the neighborhood businesses are great to have as clients because they appreciate the diversity of the neighborhood and are proud to shop small and local.